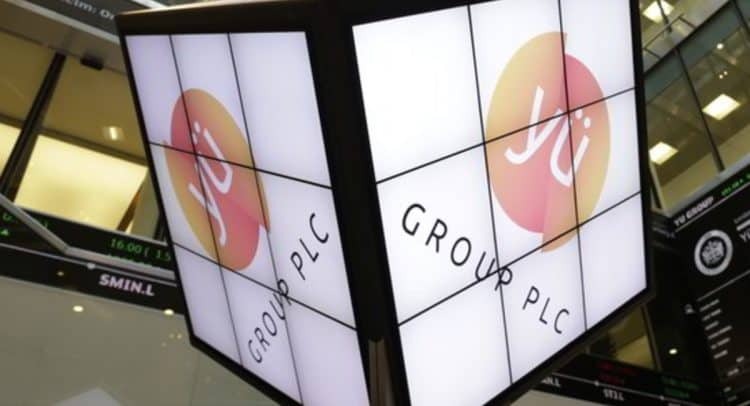 Bobby Kalar, CEO of Yü Group, commented: “In what has been a challenging period we remain focussed and continue to work hard to rectify the issues highlighted last year. Yü Group PLC (AIM: YU. ), the independent supplier of gas, electricity and water to the UK corporate sector, provides the following trading update in respect of the year ended 31 December 2018. The Group confirms that the Adjusted Loss Before Tax1 to be recognised is still anticipated to be within the range of £7.35 million and £7.85 million. This level of loss assumes that there will not be a restatement to reduce the profitability of FY 2017 or prior years. Should the Board conclude that such a restatement is required, then losses for the FY 2018 period would decrease by a corresponding amount. Group revenue for FY 2018 is expected to be approximately £80 million. The Group currently has in excess of £85 million of revenue contracted for FY 2019. The Group held cash of £14.6 million at 31 December 2018, of which £3.5 million was held in short-term deposits. The Group continues to have no debt. Yü Group also confirm that, alongside the review by the Group’s Audit Committee of its governance processes it has also considered changing its external auditors. As a result, the Group has appointed RSM UK Audit LLP as new external auditors. The Group will continue to undertake a detailed review of the 31 December 2018 balance sheet until finalisation of the FY 2018 annual accounts and audit, which is targeted to conclude in Q2 2019. The Board are particularly focussed on validating, to the extent reasonable post the balance sheet date, its detailed estimates on the level of bad debt provision, the recoverability of accrued income, and reviewing whether a prior period adjustment will be required. The Board remains focussed on continuing the implementation of further financial and operational controls; ensuring a managed approach to commodity risks through its hedging policy; and prioritising profitable and sustainable growth. In addition, the Group has maintained its focus on customer service, including via its three ring pick-up policy, and continues to attract new customers and employees, whilst developing existing teams across the business. 1 Adjusted Loss Before Tax excludes charges for Share Based Payments, gains or losses on derivative contracts, and, for Financial Year 2018, exceptional restructuring costs, provisions made on first adoption of IFRS9, and the professional costs related to the accounting review. The loss assumes that there will be no restatement of prior periods required as a consequence of the accounting review. Yü Group PLC, trading as Yü Energy, is an independent supplier of gas, electricity and water focused on servicing the corporate sector throughout the UK. It has no involvement in the domestic retail market. The Group was listed on the AIM market of the London Stock Exchange in March 2016. Tags: corporate sector, electricity, gas, water, Yü Energy, Yu Group PLC, YU.